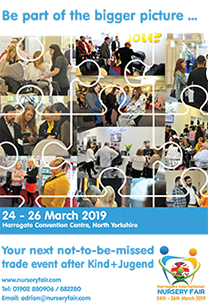 From little seeds, big things grow and this is certainly the experience of the Baby Products Association, which over the years has welcomed numerous fantastic new product ideas still in their infancy, to its annual Concept & Innovation Awards. For many entrants, these awards are the opening they have been looking for, providing the stepping stone to realise dreams and get a product from a simple design drawing to a fully functioning item launched and into the market place. The deadline for entries to the 2013 Concept & Innovation Awards was in November 2012 and a panel of judges, consisting of nursery industry experts in terms of design, safety, retail and marketing, were tasked with shortlisting these. Ten shortlisted entrants were invited to London to present their product ideas to the judges in a ‘Dragon’s Den’ style panel at the end of January and after much deliberation four finalists were chosen. The other Concept Award Finalist for 2013 is Roger Law with a clever idea called Clikkamat – a plug and play mat with interchangeable toys, which is designed to keeps toys upright and at the correct height for babies to play with. 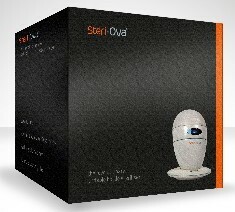 In the Innovation category, the two finalist chosen were Anne Marie Durkin with her new product Steri Ova – a high tech, baby bottle steriliser which operates with UV light, sterilising in 90 seconds, is completely portable and requires no water; and Chris Emmett with Dream-on. Again, this was a product idea developed in response to need on the birth of Chris’s son. He found it frustrating when the baby fell asleep in the car and he couldn’t lift him out and into his cot without waking him. 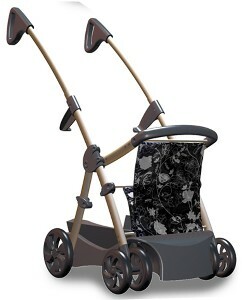 Dream-on is a car seat liner with handles to gentle lift the baby out of the car seat. 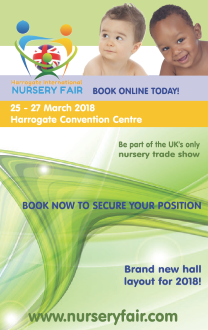 Visitors to Harrogate Nursery Fair can see all four Concept & Innovation finalists at the show on the Concept & Innovation stand in Hall G. The winners will be announced on Monday 25th March.